There’s a healthy food out there for every part of your body! Your skin, digestive tract, brain, and muscles can all be positively impacted by eating foods dense in certain nutrients. Your teeth are no different. 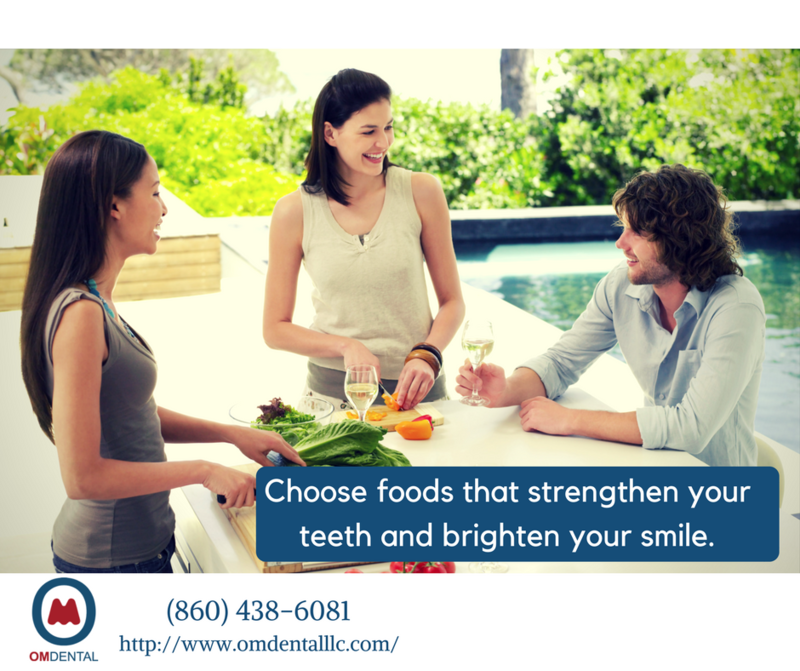 Plenty of foods can give your oral health an extra boost, and the dental professionals at OM Dental, best dentist in New Britain, can guide you to some of the best choices. Here are our top five picks for foods that will improve your oral health. •	Cheese-lovers will be thrilled to learn that cheese is the first food on our list. Cheese is an excellent food for promoting dental health. It has plenty of calcium which is an essential ingredient for strong, healthy teeth. Having a higher mouth pH is correlated with developing fewer cavities, and studies show that eating cheese can raise the pH in your mouth. Cheese makes an excellent after dessert snack to prevent tooth decay and get your saliva going! •	While an apple a day may not keep the doctor away, an apple a day may help keep the cavities away! Apples are high in fiber and make an overall exceptionally healthy snack. Typically, we see sugary foods as being bad for the teeth, but fruits can be an exception to this rule. Apples are crunchy and help produce saliva to rinse away bacteria and leftover pieces of food. •	If you’re ready to improve your oral health, it’s time to get over your distaste for dark, leafy greens. Dark, leafy greens are one of the healthiest foods you can eat for promoting health anywhere in your body, and your teeth are no exception. Kale and spinach are high in calcium and contain folic acid. It’s really easy to integrate leafy greens into your diet, even if you don’t like the taste. Add them to a breakfast smoothie, toss a few into your pasta, or top off a pizza with a handful of greens. The more you eat them, the more you’ll love them! •	Good news for vegetarians! Tofu is an excellent food for dental health. Tofu is rich in calcium and phosphorous, both essential minerals for strong, healthy tooth enamel. Tofu is also cheap and really easy to cook! Purchase extra-firm tofu and press the extra water out with a tofu press or a stack of cookbooks. Avoid cooking with oil as tofu is very dense with water! Try soaking tofu in a marinade overnight or dry-frying it on a pan with some salt and pepper. Meatless Mondays have never been so great! •	For a healthy, tooth-friendly snack, try a handful of almonds! Not only are they a great source of calcium, they’re really low in sugar! Add them to your breakfast smoothie or eat them raw. Almonds are all-around an excellent choice. Making good choices for your dental health will pay off in the long run. 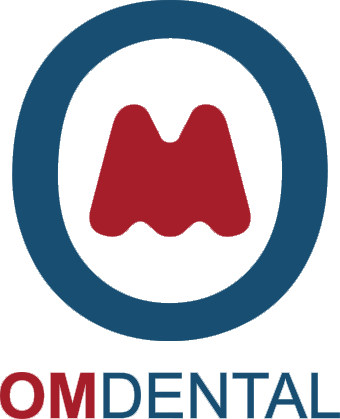 Reach out to make an appointment with us at OM Dental, the best dentist in New Britain. We have expertise in many areas of dentistry. If you're looking for information on general dentistry, orthodontics, or teeth whitening, our dental professionals are ready to help. To learn more about the range of dental services we offer, visit our website at http://omdentalllc.com.